Chalk Hill kilns operation Pre 1862 ??? Trading as Porthywaen Lime & Fluxingstone Works owner Mrs Williams. Dolgoch kilns operation Pre 1897 leased to The Porthywaen Lime Company Ltd. by W Kenyon, Pradoe. 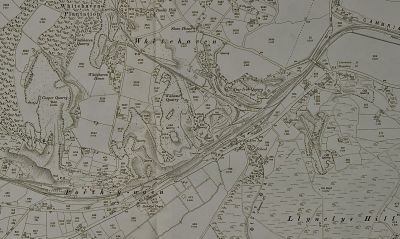 The Llynclys Lime Works Ltd.
1901 map showing a tramway leading down from Williams quarry to a bank of Lime Kilns near to the A495 road. 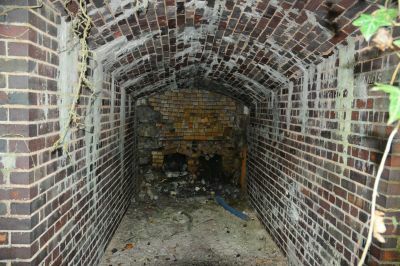 One of the bank of Lime Kilns showing lime still on the inside of the brickwork and two fireplaces at the back. 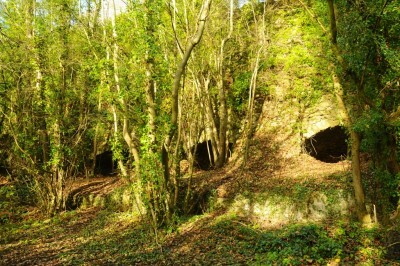 Photo of part of the bank of 8 lime kilns alongside the long incline running up from behind the Lime Kiln pub. 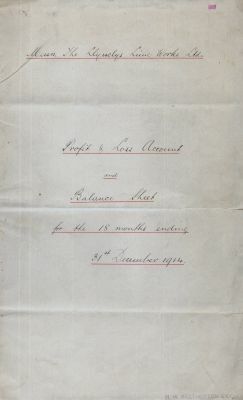 Front of a 4 page document of the Profit & Loss Account and balance sheet of the Llynclys Lime Co for the 18months ending 31st December 1914. 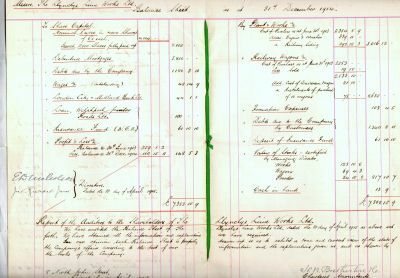 This document was produced by the firms accountants J. Bretherston of 8 North John Street, Liverpool.on 14th April 1915. Pages 1 & 2 of the above document. 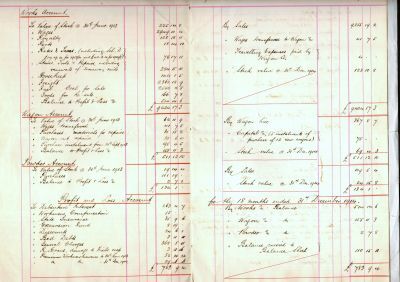 Pages 3 & 4 of the above document.